Every once in a while I come across a book that is just a delight, one that is both comforting and unexpected. 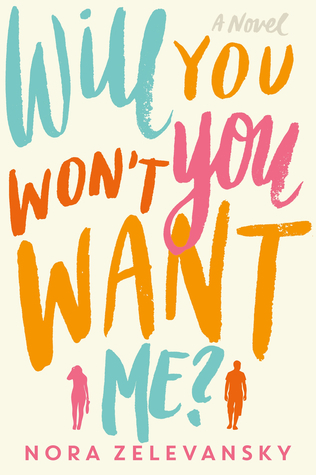 Will You Won't You Want Me is one of those books. This is classified as a romance, and it is a romance. But it is also something else. It chronicles the struggles of adulting (and, as we all know, the struggle is real!) Marjorie is that person--one I think many can relate to--who believes she "peaked" in high school. Now, ten years later, she feels that her life has no direction. Zelevansky skillfully shows, instead of tells, us all exactly how unfulfilling Marjorie's life has become and how she knows what the problem is, but not how to solve it. And there is a love triangle, which is sometimes a turn-off for me. Either it is set up with one person trying to decide between a "good" option and a "bad" option, or it just becomes a muddled mess of emotional angst. Here, however, it works. Partly because the Marjorie's two romances are kept separate and the one that fails, fails on its own merits--just as the one that succeeds, succeeds not because Majorie chose that option over the other option, but because she made a decision to pursue that relationship. I loved Zelevansky's writing style--I'm not sure if this is her first book or not (oops...a check just showed that she has one other novel, which I will most likely be reading soon), but she is definitely an author to follow. The first thing that really pulled me in is the perspective, It is told in the 3rd person omniscient voice, but that is usually as some disembodied voice who just seems to know everything. Here, however, it is like someone (not any of the characters in the book) sits down with you and gossips out a whole juicy story about Majorie and her friends and family. I felt like I was in on the story, not just a reader on the outside. Another area where Zelevansky shines is her ability to write place. Most of the book is set in New York City--which is where many writers would stop. Instead, Zelevansky creates the world of Manhattan and the world of Brooklyn and she brings the reader along with her into those worlds. When the action moves to the world of the wanna-be-but-not-yet Rich and Famous of Los Angeles, Zelevansky succeeds again. Admittedly, she might be relying a bit more on cliches here, but it is still entertaining and believable. If I had to choose one word to summarize this novel, it would have to be "charming." 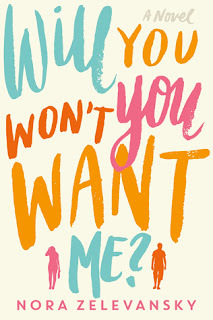 Reading it was a delightful experience and this is a book I would recommend to anyone looking for a love story with a heroine who will win your heart.